BUY THIS WEEKS LOOK MAGAZINE AND TURN TO PAGE.43 TO READ THE REST! The Berkeley Dress Show is the first fundrasing event of the London Season each year and we were privileged enough to take part and showcase HMH Couture at this magnificent event. 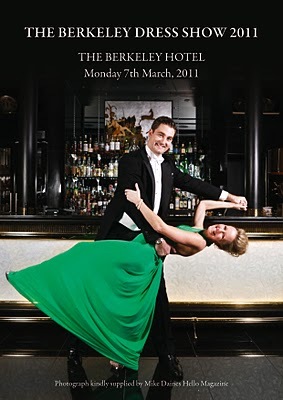 This year’s show took place on the 23rd of April at the fantastic and exclusive Hurlingham Club. 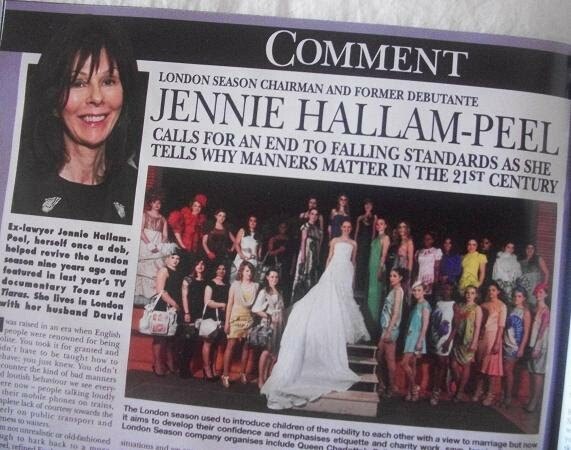 A superb and well put together event by Mrs Jennie Hallam-Peel who is also a former Débutante herself. It was also in celebration of St.Georges Day in support for the Veterans aid. It wouldn’t have been in a better setting in the mix of a select few outstanding and unique rising designers. The dresses were modelled by 35 beautiful young ladies who were also making their début on the night. Designs worn in the showcase included those by Pronovias, Ruth Tarvydas, Aruna Seth, House of Bilimoria and of-course HMH Couture amongst others. We would like to thank Hello Magazine for coving the night, the organisers of the event and those who made the show a success. HMH Couture in OK Magazine! Buy this weeks OK Magazine and see Hanna and Liz Fuller on page.145 at the Miss Great Britain 2010 launch party along with some other exclusive footage from the fabulous event. In Emerald green dress – Designer for HMH Couture – Hanna Marie Hutchison. Miss Great Britain 2010 Launch party + Liz Fuller exclusively in HMH Couture! Last Wednesday, we at HMH Couture headed-off to the launch of Miss Great Britain 2010 at The Button’s exclusive London nightclub Jalouse on Hanover Square. It was a celeb studded and extravagant event with appearances from a mix of celebrities and socialites including Daniel Lloyd, Nikki Graeme, Calum Best, Ray Panthaki, Victoria Hart amongst many others. The New owner of Miss Great Britain herself Liz Fuller was also celebrating her joint birthday with Kaja Wunder on the same night. She wore a striking red HMH Couture floor-length evening gown with waterfall detail at the front and wowed the crowds at the party as she showed-off her fabulous figure in her classy, elegant look. Also in HMH Couture was Hanna-Marie-Hutchison in a long jade green backless number and she looked absolutely glamorous in one of her her own designs. Later-on, Hanna & Liz were swooshed off by OK Magazine photographer’s for some press pics and we enjoyed an amazing night of celebrating Britain, beauty and femininity. After what was a brilliant night of partying in style and schmoozing with the industries finest sipping on nothing but champagne and cocktails, we decided to call it an night and hopped into a cab for what we will recall as a successful and brilliant event. One of HMH Couture’s dresses was featured in Wednesday the 13th’s Dailymail (Paper & On-line) alongside a feature about Liz Fuller and her latest and up-coming project Miss Great Britain 2010. Though you can’t see the dress in its full glory as the picture has been cropped, you can imagine the thrill we had at HMH to witness this momentous spectacle. Liz appears wearing HMH’s Ice-blue cut-out floor length gown. The TV Presenter and former winner of the pageant talks about how she has regained the rights to the contest and her future plans to turn Miss GB into a reality TV Show. *Follow link to read more about the article by Richard Kay – Knickers contest given a twist.